COPD, or chronic obstructive pulmonary disease, is one of the top 3 most fatal diseases in the United States according to the American Lung Association. As many as 24 million people in the United States may currently be affected by COPD, which often manifests as a cross between emphysema and chronic bronchitis. However, new research into COPD is now bringing fresh hope for individuals suffering with COPD and their loved ones. The key to minimizing symptoms and prolonging life is early detection and treatment. In this article, learn about the latest and greatest COPD treatment options and how they can improve quality of life for COPD sufferers. COPD is found throughout the United States, with the most frequency in the southeastern portion of the country. More women than men are affected, and cases in women are more frequently fatal. It is thought this is because women are more affected by tobacco smoke. While the major cause of COPD is use of tobacco products, even people who have never smoked can develop COPD. This is due not only to the effects of secondhand smoke but also from exposure to other toxic fumes when ventilation is poor. For this reason, public health education is a critical component of the new wave of COPD research, diagnosis and treatment efforts. If you have COPD, you may be among the estimated 11 million Americans who suffer from the disease and have been diagnosed with COPD. However, you may also be among the approximately 13 million adults who have COPD but do not yet know it. If this is the case, it is critical to be able to recognize the symptoms of COPD. Without an accurate diagnosis that points you to early treatment intervention, your COPD may continue to worsen over time. Continual bronchial coughing or wheezing with mucus on a daily basis (the current clinical requirement for diagnosis is for this to occur for at least 3 consecutive months per year over two years’ time). Ongoing shortness of breath, even while at rest. A feeling of tightness in the chest area. Excess throat clearing, especially in the morning (due to mucus buildup in the night). Fingernails and lips that seem to have a blueish cast. Swelling in lower extremities (ankles, feet, legs). Unexplained weight loss as COPD progresses. Periodic worsening of symptoms (called “exacerbation”). How Is COPD Diagnosed and Treated? If you suspect that you or someone you love has COPD, the first step is to verify the diagnosis. Your doctor can use spirometry to test your lung function. Spirometry is a simple, noninvasive test where you will blow into a tube to assess how much air your lungs can take in and the rate at which you can blow held air back out again. Spirometry is so accurate that it can tell your doctor whether or not you have COPD even if you have no symptoms. For this reason, spirometry is used not only for diagnosis but also as a measurement for treatment success. The stronger your lungs are and the greater capacity they have to hold air, the better your treatment is going. New research into COPD has also revealed a heritable condition called alpha-1-antitrypsin deficiency that can cause COPD, even if exposure to tobacco in any of its forms or other known COPD trigger toxins has been low. What New Treatments for COPD Exist? When spirometry was first developed, it was a revelation in COPD diagnosis. But this represented just the first step towards fighting back against this common killer. The latest studies in COPD medicine recommend taking a proactive, preventative approach to diagnosing and treating COPD. This includes administering vaccines, antibiotics and physical therapy to minimize symptoms and side effects. Routine vaccination against flu and pneumonia. Routine administration of antibiotics and glucocorticoids (steroid hormones) to control exacerbations. Use of long-term oxygen therapy to improve patient quality of life. 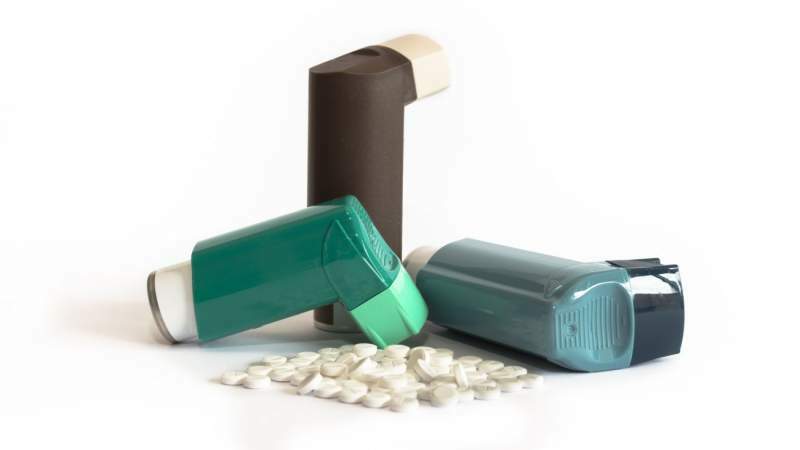 Prescribed asthma inhalers (for dilating lungs and easing bronchitis symptoms). Lung surgery to improve lung function and capacity in the remaining lung. Pulmonary (lung) rehabilitation therapy to improve breathing. What Does the Future Hold for COPD Treatment? The National Institute of Health (NIH) and the American Lung Association (ALA) are two of the major organizations funding and spearheading new research and new treatments for COPD. Some of the latest studies into COPD risk factors, diagnosis and treatment have come together under the header of SPIROMICS, which stands for “subpopulations and intermediate outcome measures in COPD study.” This study is working to gather genetic data to better understand how COPD manifests in different patient groups. The LTRC, or Lung Tissue Research Consortium, provides samples of lung tissue from COPD patients to researchers investigating biological risk factors for COPD. The COPD Clinical Research Network is conducting research into a number of medication-based treatment modalities, including statin (cholesterol) drugs, vaccines and antibiotics. The NIH has recently completed a study called the Long-Term Oxygen Treatment Trial with partners Medicare and Medicaid to evaluate the use of oxygen therapy as a long-term aid to alleviate COPD symptoms. Publication of results is pending. In summary, a number of influential and well-established organizations are continuing to spearhead research into COPD in many complementary areas. This ongoing focus on COPD treatment and prevention is urgent, as the number of reported cases grow each year. With better understanding of risk factors (including heritable conditions) and symptoms, earlier diagnosis is now possible.